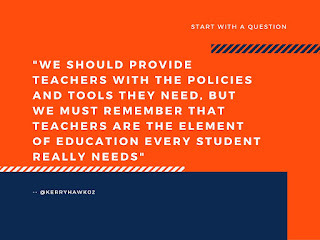 As I was reading the first few chapters of Revisiting Professional Learning Communities at Work I found this statement about how policymakers view education and the role teachers have in improving our schools. Of course, the authors go on to use statistics to argue that there is evidence of widespread school improvement, despite the hopeless outlook many policymakers have. While these statistics are upbeat and fun to read, they are based on assessments: test scores, graduation rates, and how they measure up to socioeconomic data. There is something missing here: the human element. 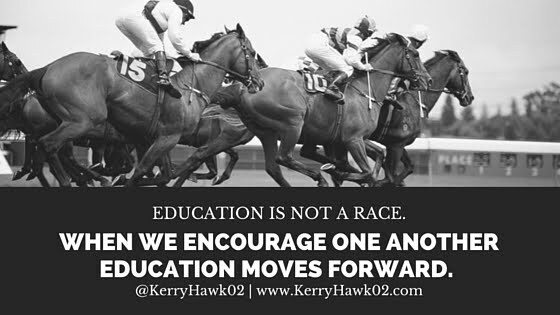 The biggest reason education continues to move forward is because of the determination of educators themselves. There is no single reform movement, technology tool, law, or regulation that is going to "revolutionize" education. Education will continue to grow, reexamine itself, make adjustments, and move forward because that is what good educators do every single day as they step into their classrooms. Educators who are focused on learning, their students' and their own, are the reason education continues to improve. We aren't satisfied to use a lesson that worked once, in the same way, year after year because we know we won't have the same students year after year. We design, implement, reflect, tinker, and redesign all over again to meet our students' needs. As a result, each year we get better. Here's one of my favorite YouTube videos about the role of technology in education reform. I think it helps explain why PLCs are a good approach to improving teacher quality. The video, like the assumption behind PLCs, insists that teachers are the most important factor for any student. 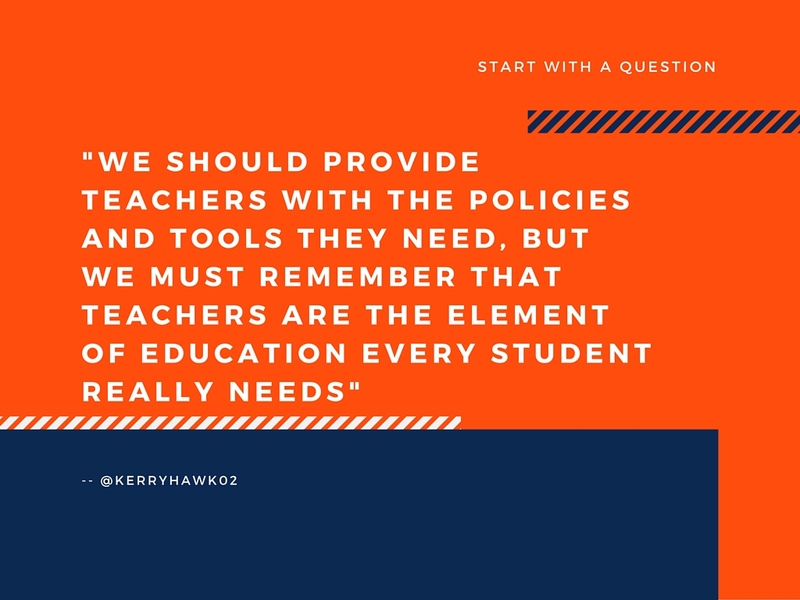 We should provide teachers with the policies and tools they need, but we must remember that teachers are the element of education every student really needs. Enjoy. 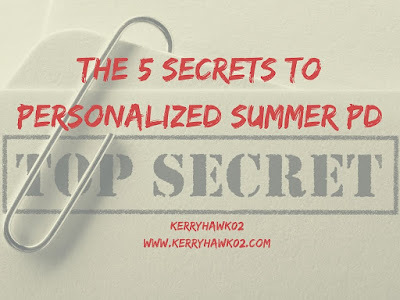 Author's Note: As I mentioned in a previous post, I am engaging in my own personalized summer PD that includes books, conferences, online engagement, and more. This is a reflection based on the first chapters of one of my summer reads. A cohort of my colleagues and I are studying professional learning communities (PLCs). This post is a part of my participation in that summer work.